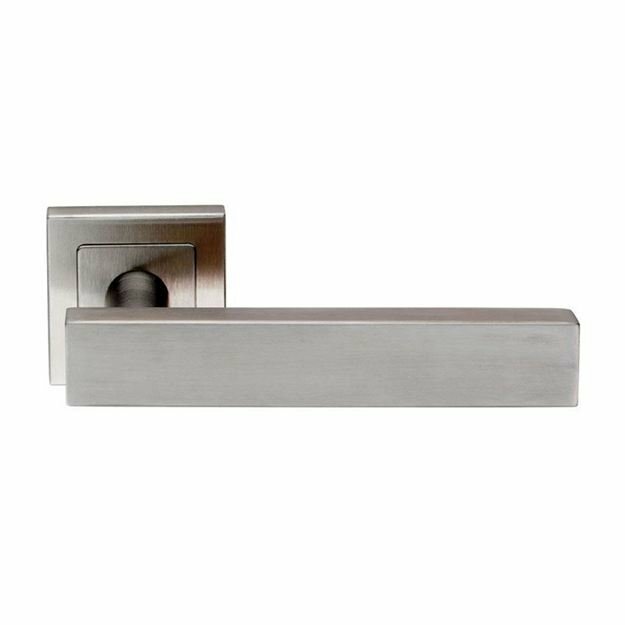 24mm h x 12mm d rectangular profile lever on a square rose. 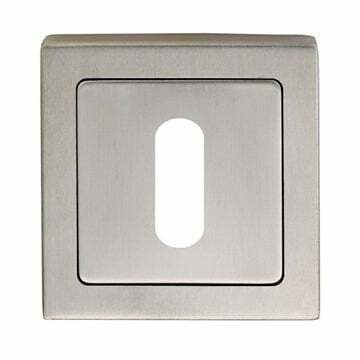 52mm wide x 52mm high x 8mm deep rose. Push on sprung rose design. 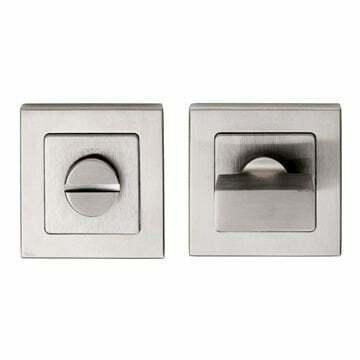 Supplied with all fixings and spindle. Fire tested for use on fire doors. 10 year manufacturers mechanical warranty. 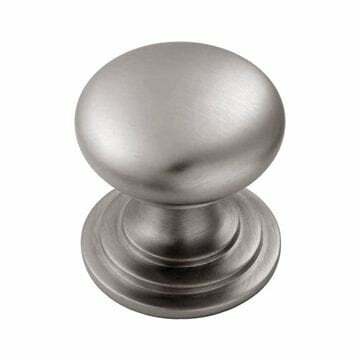 Stainless steel effect cabinet knob suitable for Kitchen door knobs and Cabinet door knobs.